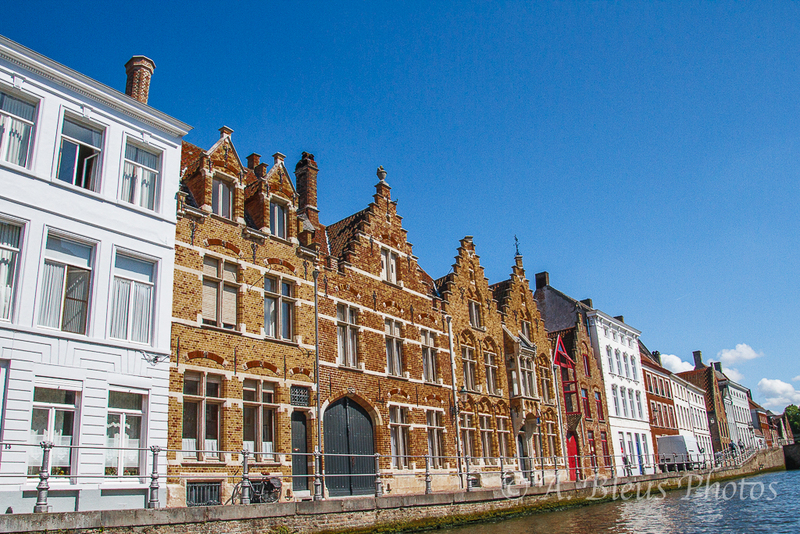 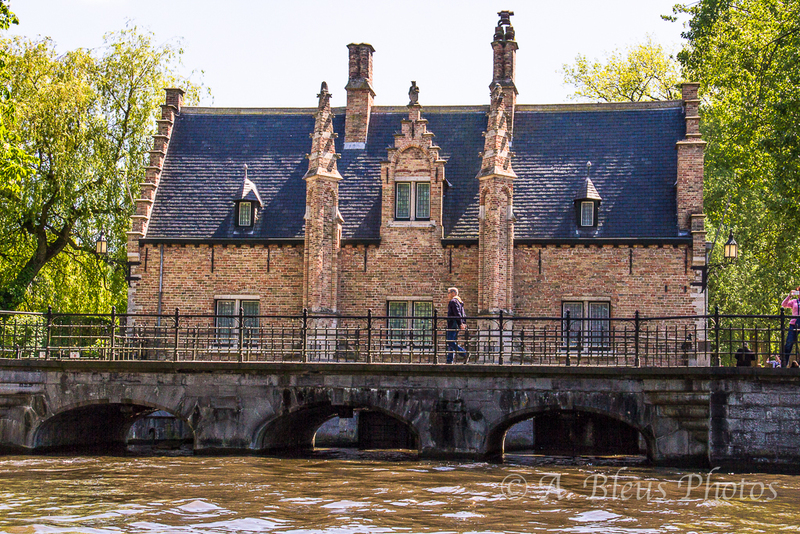 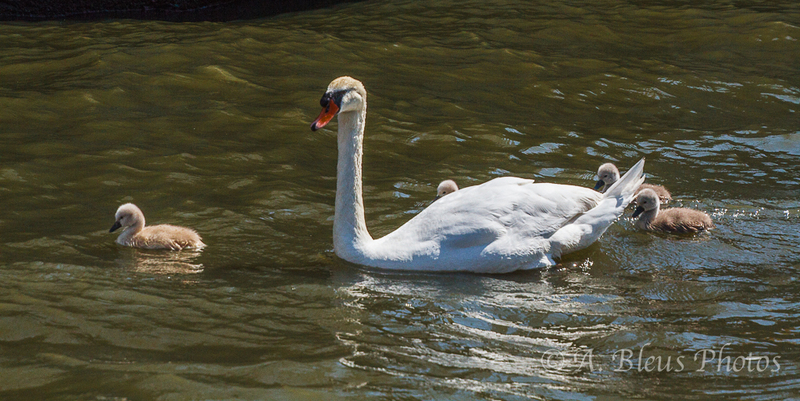 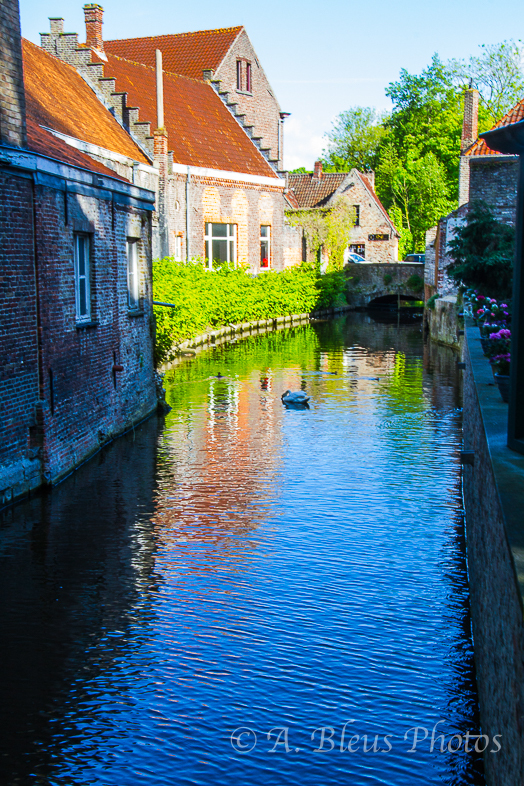 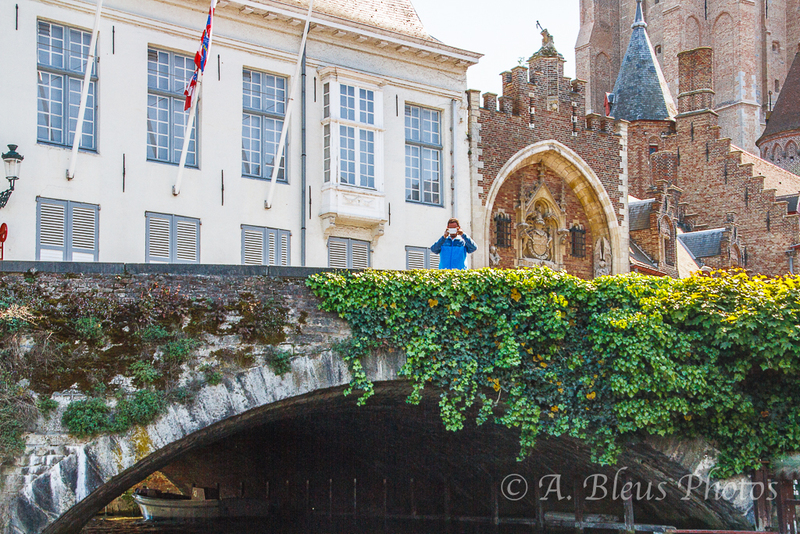 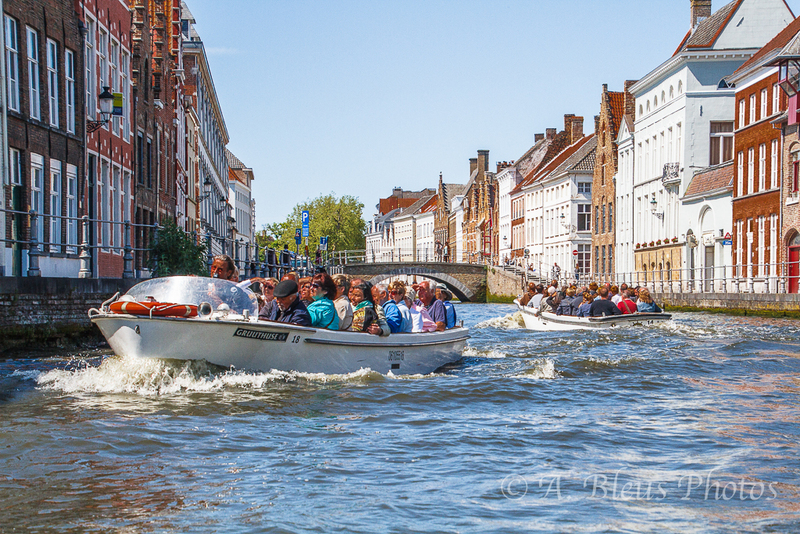 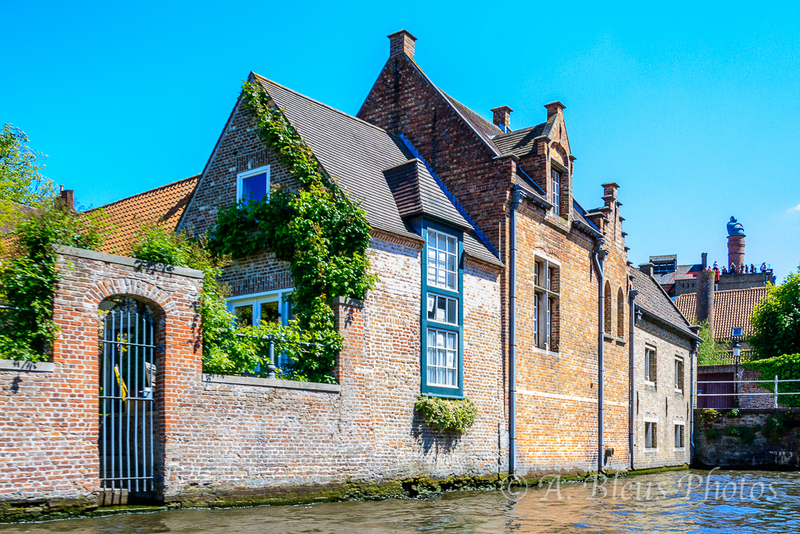 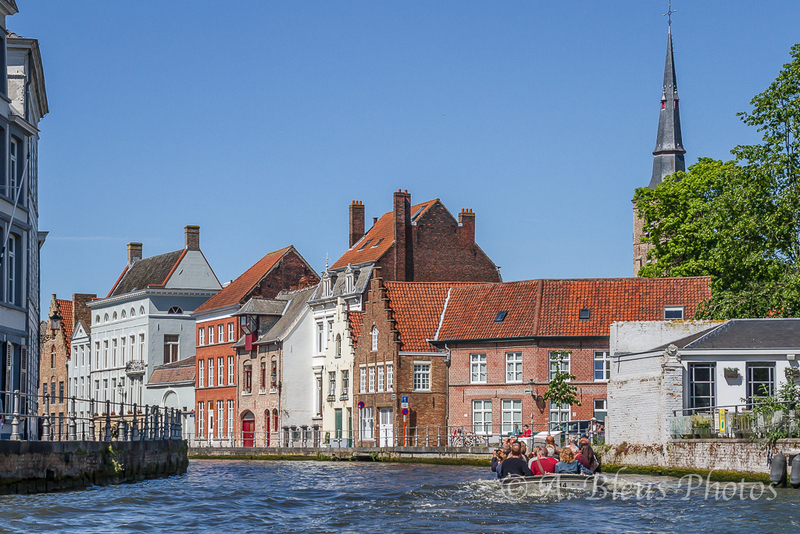 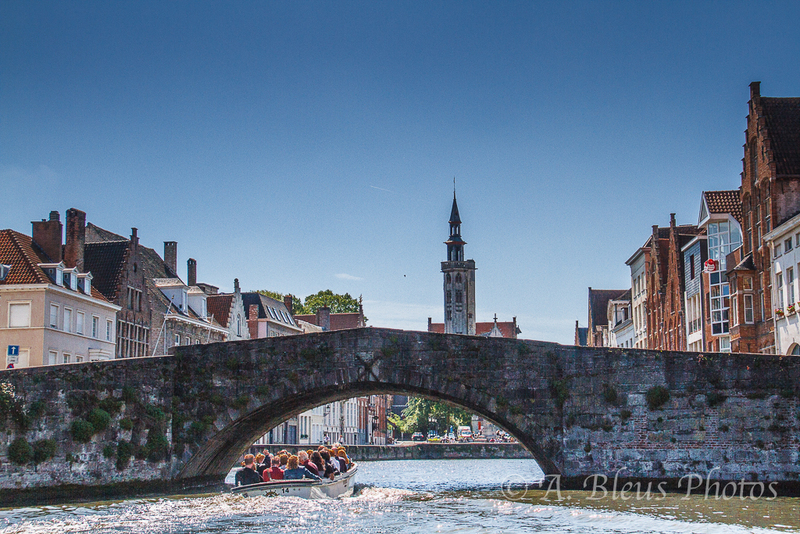 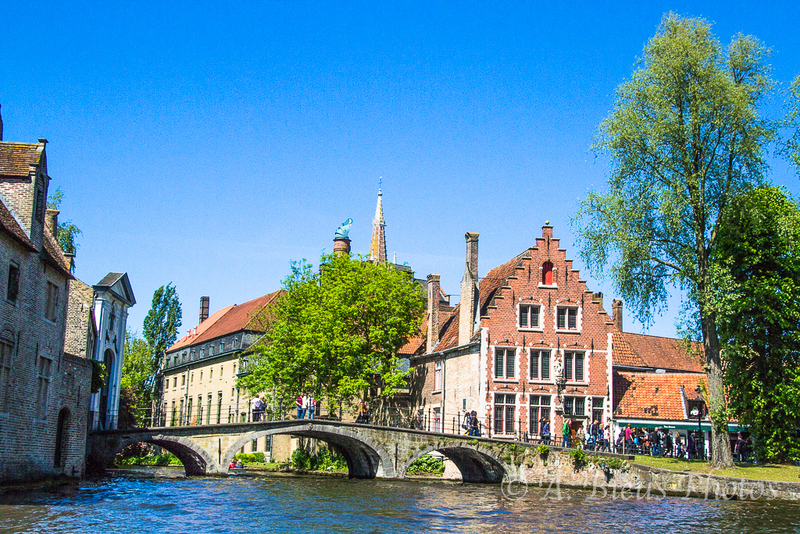 Along with a few other canal-based northern cities, such as Amsterdam and Stockholm, Bruges is sometimes referred to as “The Venice of the North”. 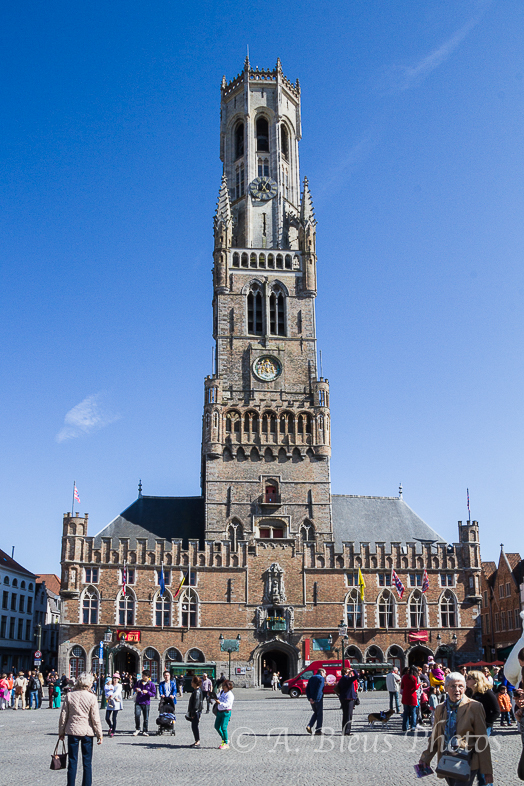 The famous medieval Belfry Belfort of Bruges on Market Square. 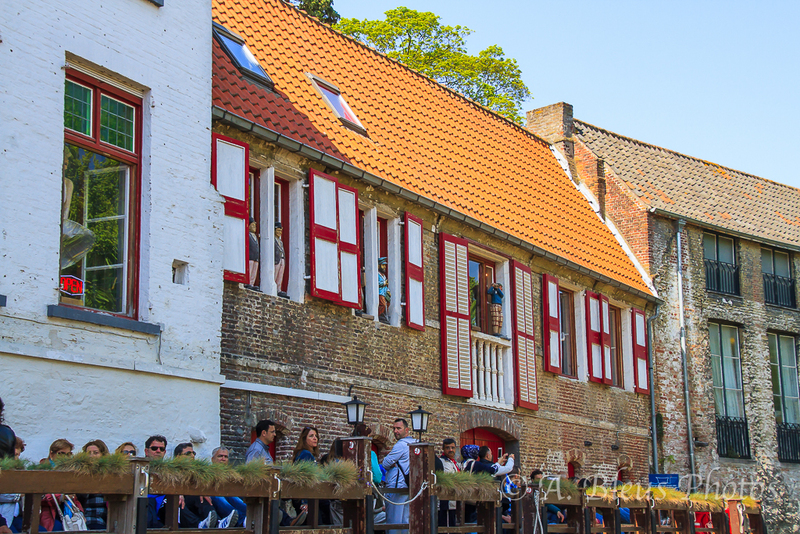 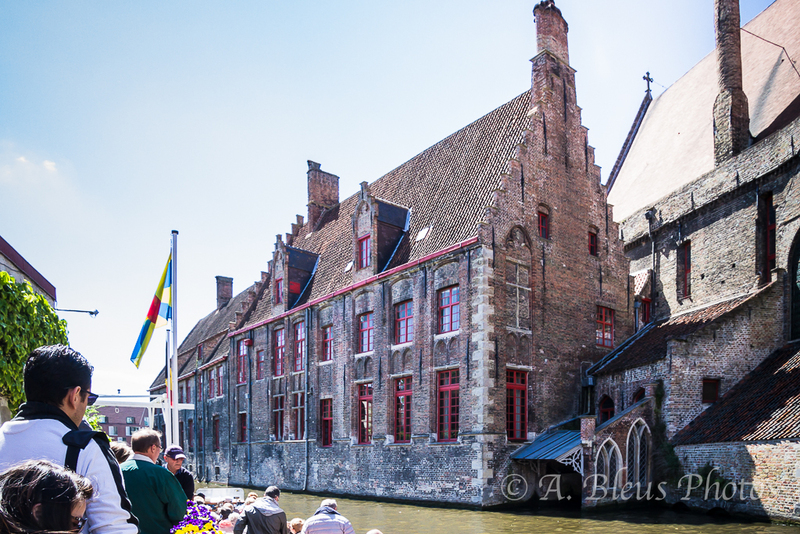 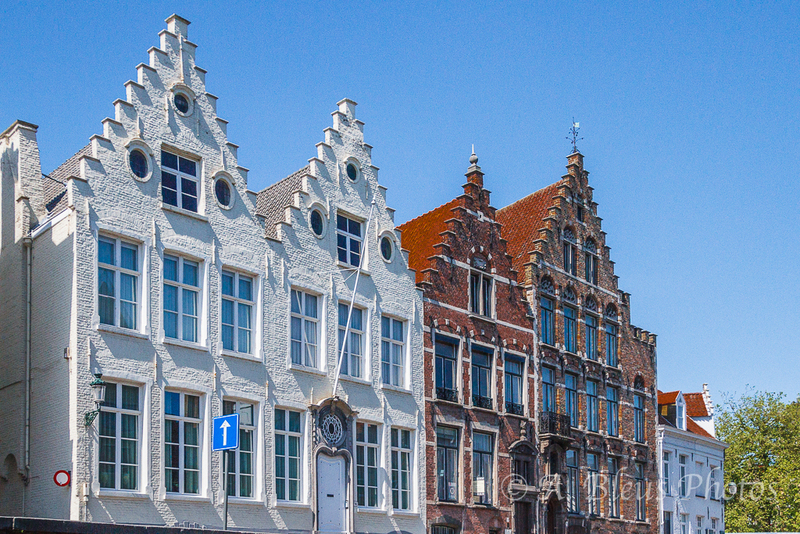 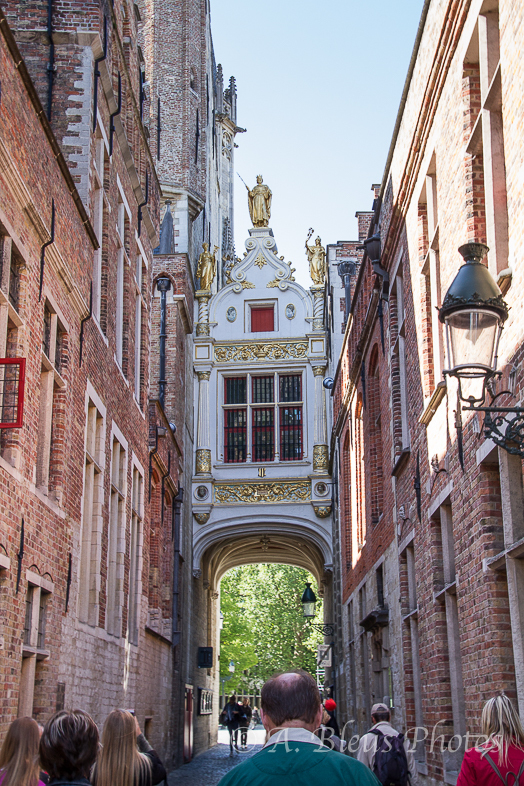 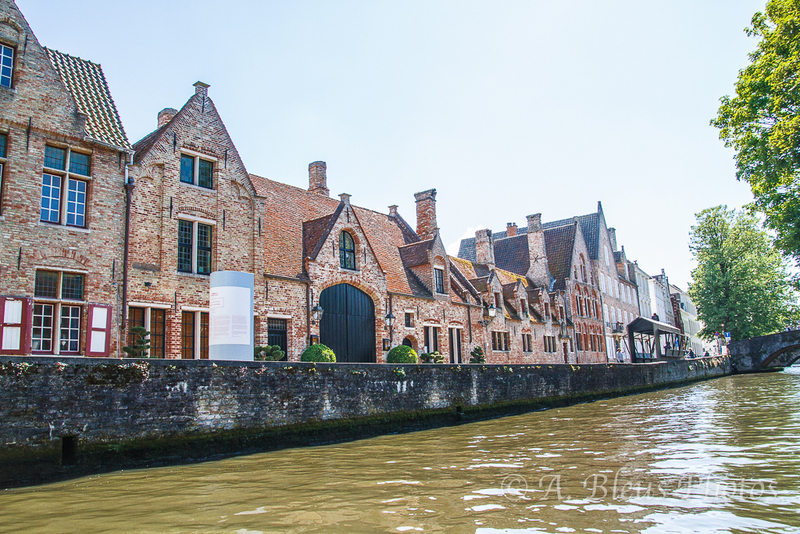 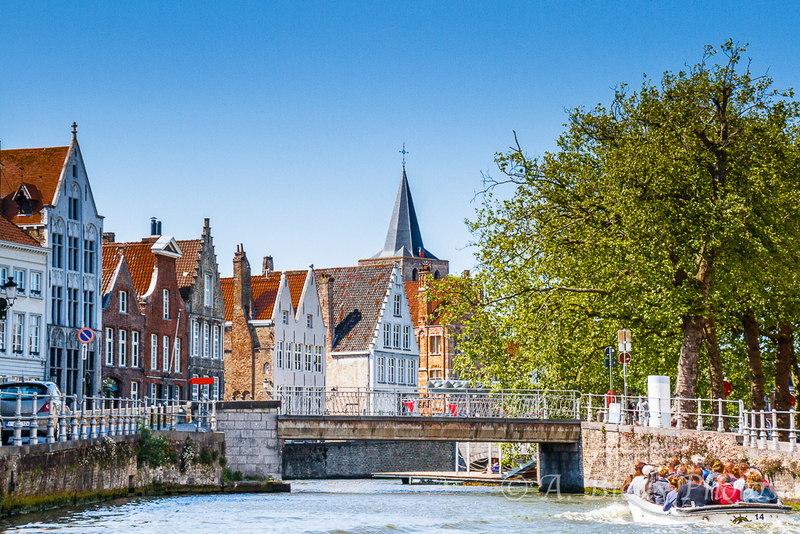 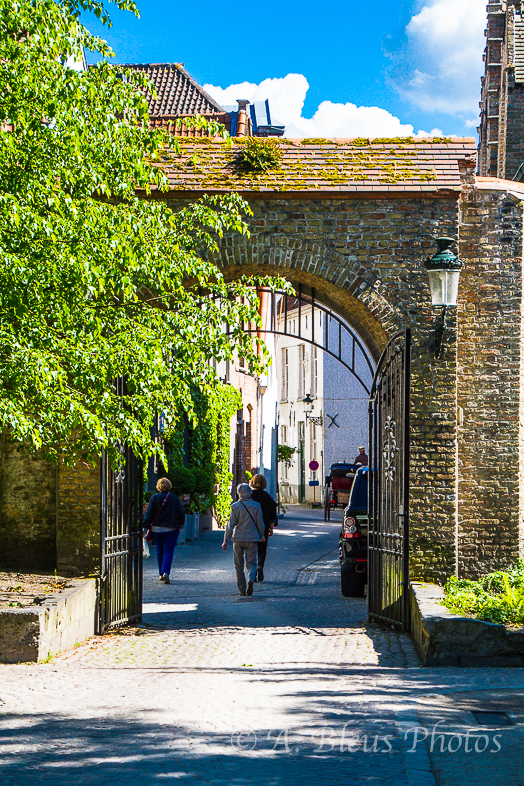 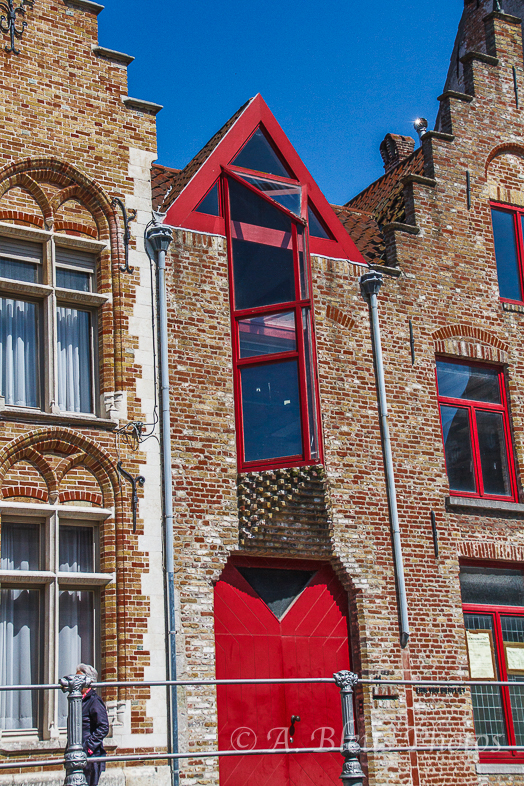 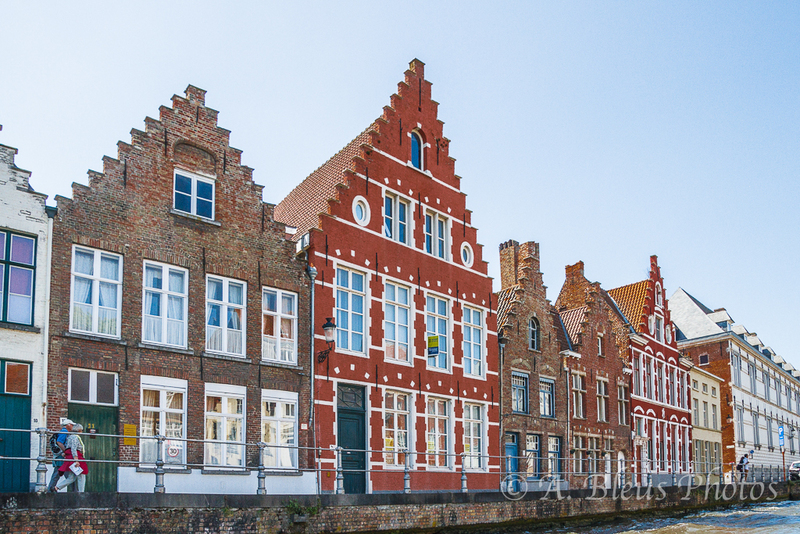 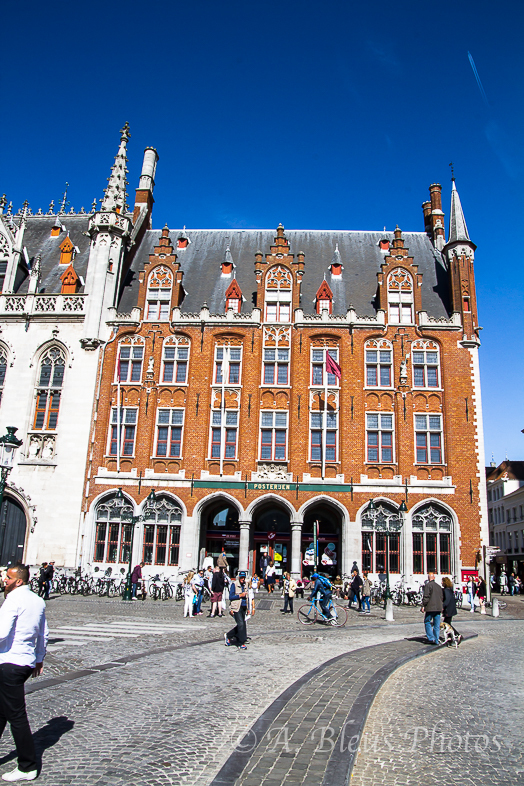 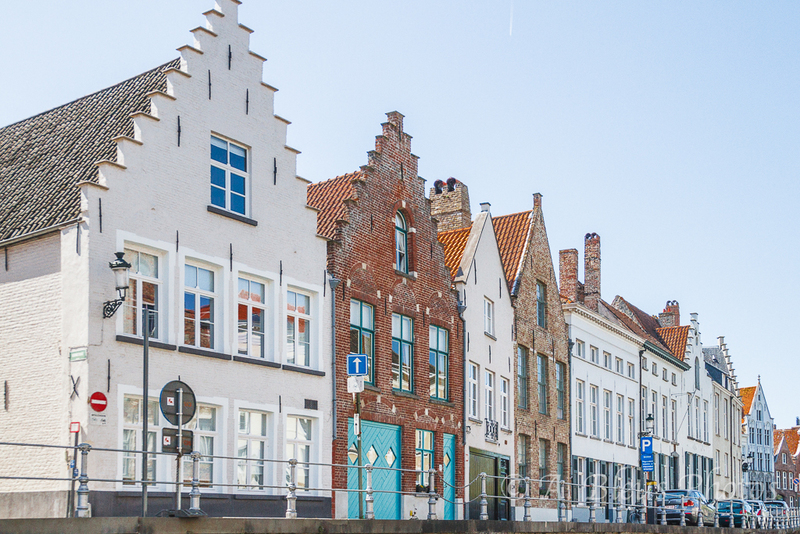 The Markt (“Market Square”) of Bruges is located in the heart of the city and covers an area of about 1 hectare. 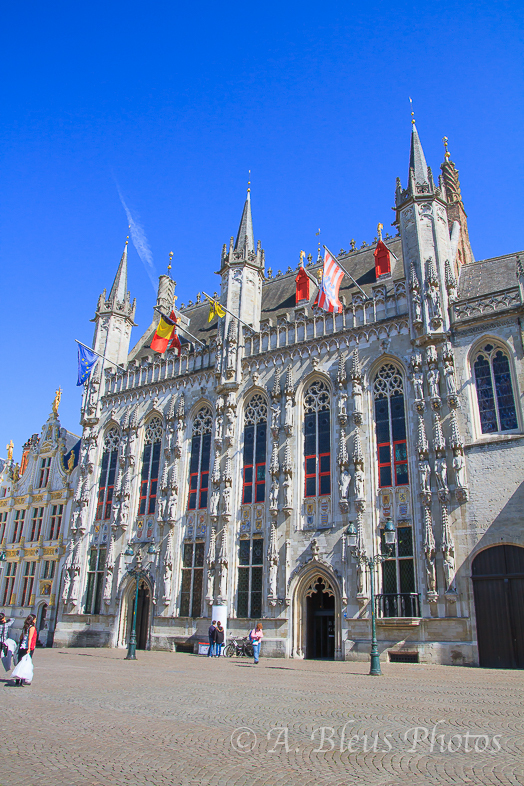 Some historical highlights around the square include the 12th-century belfry and the Provincial Court (originally the Waterhall, which in 1787 was demolished and replaced by a classicist building that from 1850 served as provincial court and after a fire in 1878 was rebuilt in a neo-Gothic style in 1887. 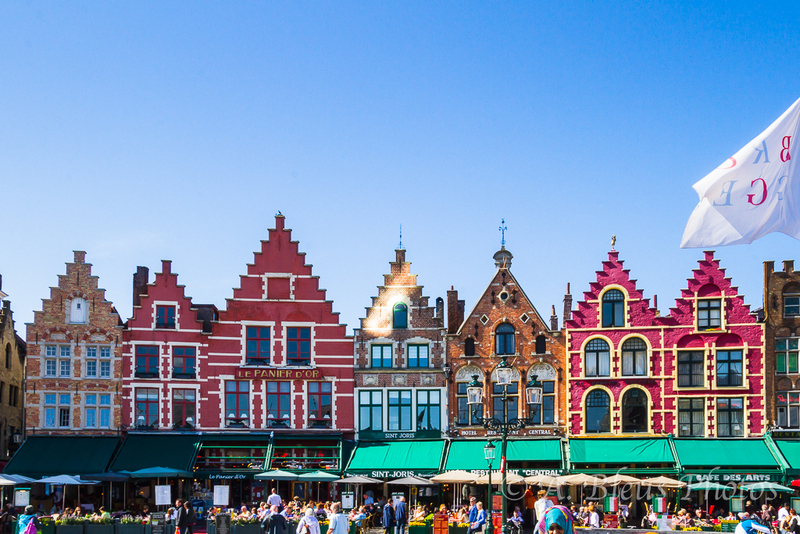 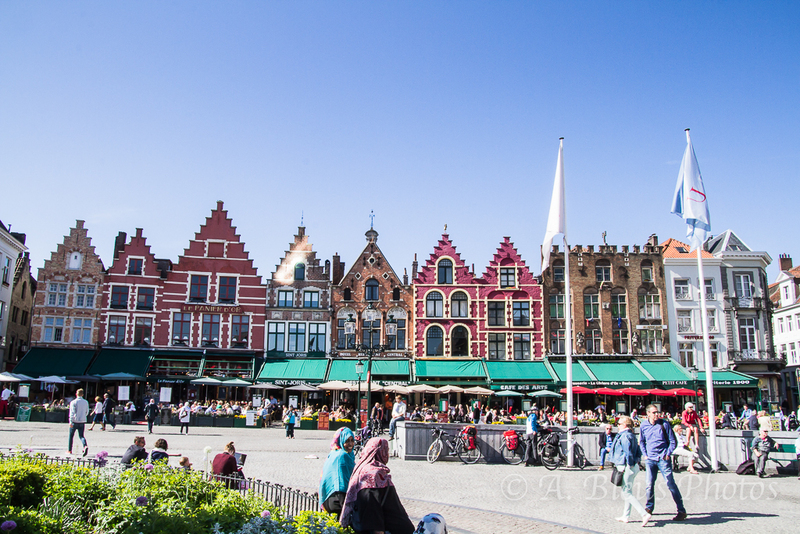 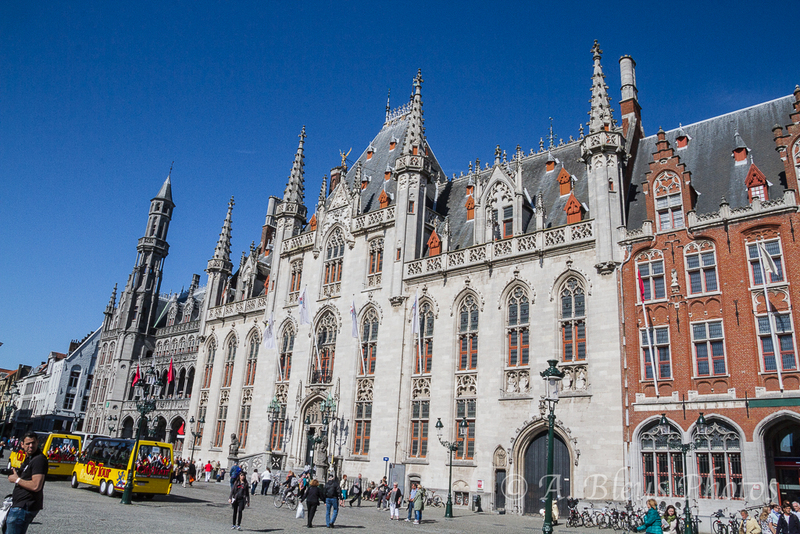 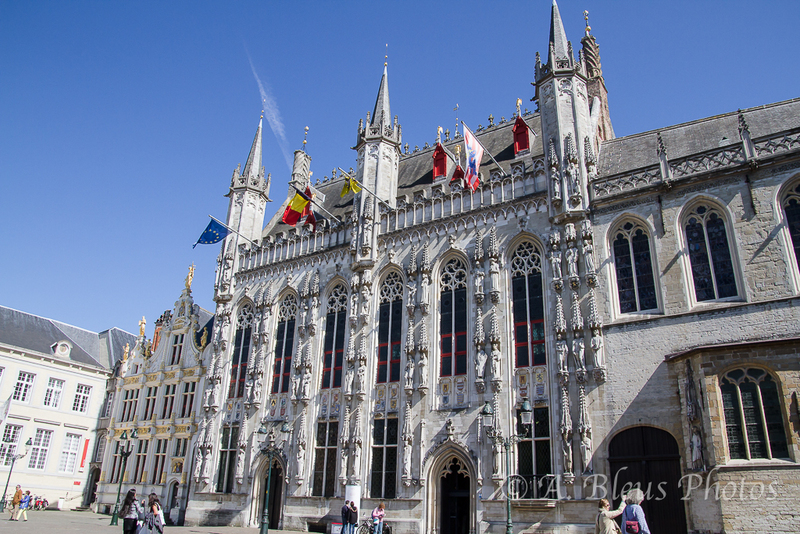 Market Square is a magnificent site that is not to be missed when in Bruges. 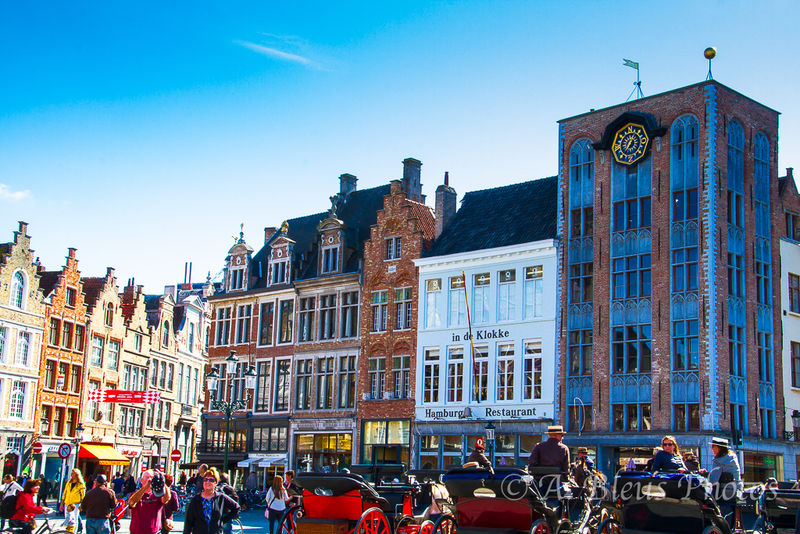 It’s lively and a great place for shopping, eat in various cafés along the square and a great place to buy Belgian Chocolate. 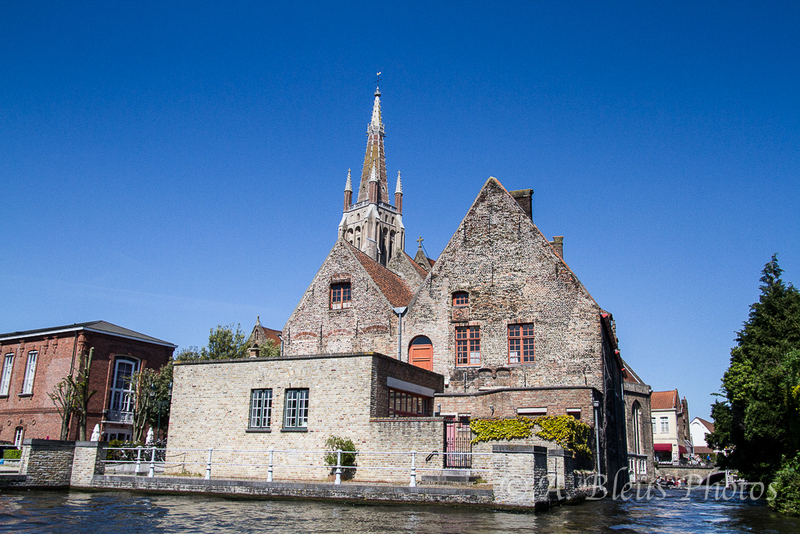 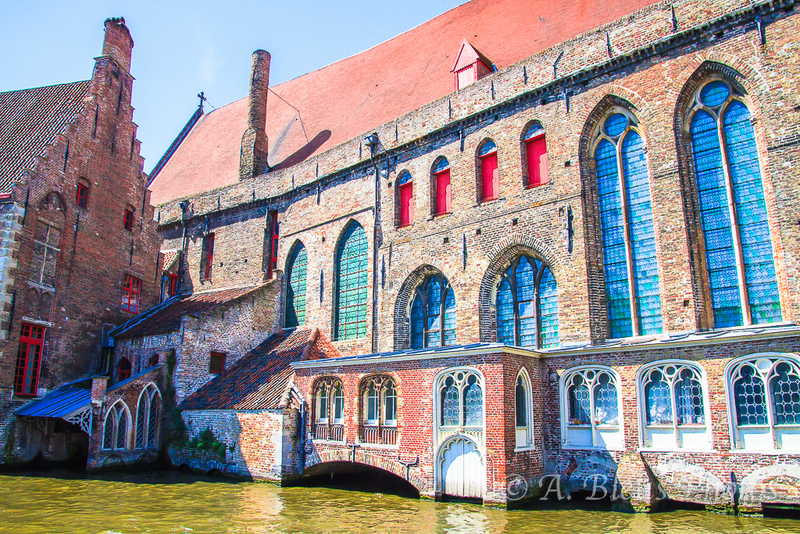 The Church of Our Lady in Bruges, Belgium, dates mainly from the 13th, 14th and 15th centuries. 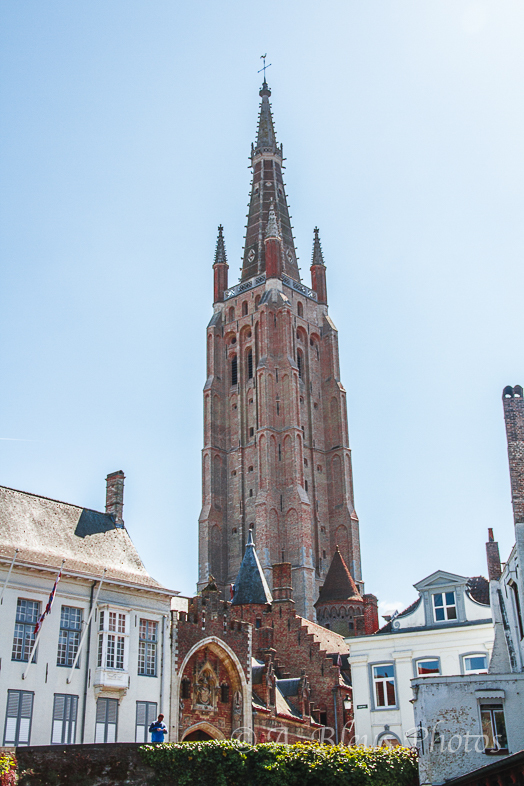 Its tower, at 122.3 meters in height, remains the tallest structure in the city and the second tallest brickwork tower in the world.